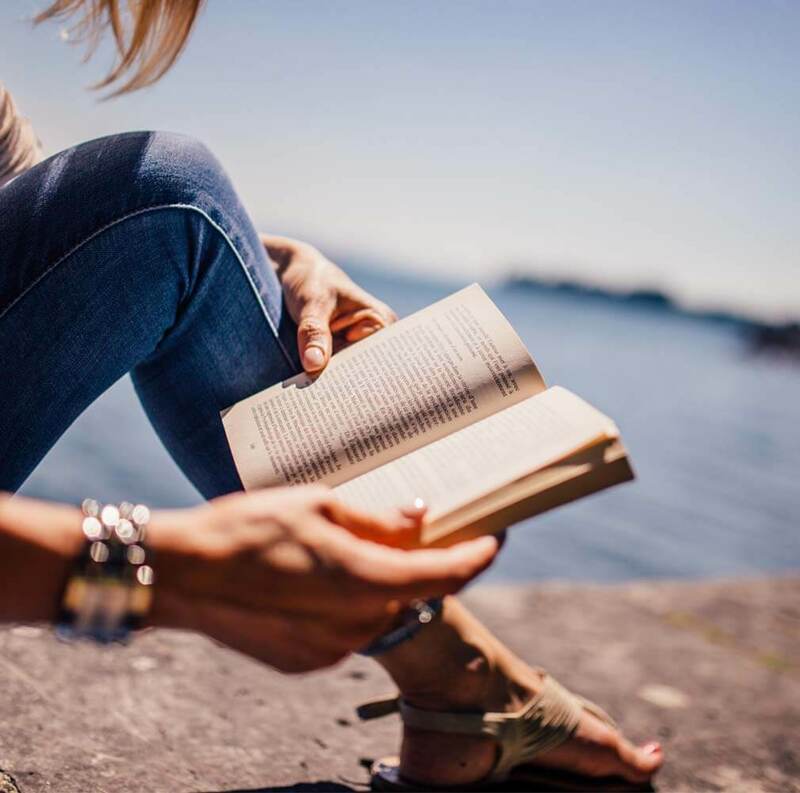 Just over a week ago I read a post by Nikki at Teaching In Progress. It was all about why she doesn't use behaviour charts in her classroom and it really resonated with me. I wanted to join her linky in support of the "alternative to behaviour charts movement" but I don't have a system in place that's easy to describe. In fact, it can't even be called a system. It's more of a philosophy, I guess. The more I thought about it though, the more I realized that it's that indefinable aspect of my classroom management that usually results in success. Now don't get me wrong, I have problems just like everyone else and I haven't always responded to them in ways that I'm terribly proud of. And sometimes, if there's a chronic problem and I'm at my wit's end, I ask my principal to help out. 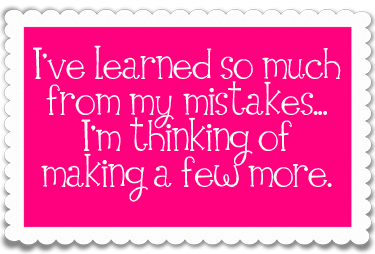 But if I goof up, I apologize, reflect, try very hard to change my ways, and move on. I have tried mild versions of behaviour charts. By this I mean I've rewarded the class as a whole with points for good behaviour. When the magic number was reached then they earned a movie or a trip to the park or whatever else they coveted. But I NEVER liked it because no matter how hard I tried to be objective it was IMPOSSIBLE. The Meek Moose says it best (be sure to read her post on the issue). When the "good" kids slip up you let it pass; when the "bad" kids slip up you're all over them. It was very hard for me to keep the system positive and objective. Instead, it tended to be manipulative. 1) I try extremely hard to maintain a positive, happy vibe in the classroom. We begin every day with a handshake in morning meeting followed by a song or two. 2) We laugh and joke and goof around. 3) There's lots of movement (no one has to sit still for too long). 4) I'm okay with them chatting during seat work as long as it's quiet and they get their work done. 5) Someone will inevitably need a time-out, but it's more of a "you need a quiet space right now so you can finish your work" attitude, rather than an angry one. 6) When problems arise between two kids (problems that need adult intervention) we talk about it quietly in a non-confrontational way. I encourage each child to vocalize what's bothering them and then we figure out a way together to make things better. 7) I always stress, "It's okay to make mistakes, as long as you try your best to fix them AND you learn from them." I know it's a cliche, but it's TRUE! Before I jump off (fall off?) my soap box I should say that one thing I've noticed over the years is if I'm well rested and in a happy mood then the class ALWAYS runs more smoothly, so I try to get enough sleep, eat properly and run as much as I can (that's what keeps ME happy). And when I'm happy it's much easier to ignore those annoying behaviours and deal with the serious ones from a grounded (instead of emotional) place. Is every day in my classroom happy and stress-free? No way. Do I sometimes lose my temper? Yes. But the overall tone is cheerful and relaxed with no put-downs allowed. I don't use behaviour charts. My classroom management isn't perfect, but it works for me and I feel good about it. I realize I haven't said anything earth-shaking here, but I was so impressed with Nikki's post that I really wanted to support her in an area that I also feel strongly about. Like you, I find that when things in the classroom are off kilter for more than a day, I need to make the time to get me grounded, only then can I get the class back on kilter. That's one of the reasons I'm really loving my four day week this year. I feel totally refreshed on Monday and ready for a week of fun and learning. It really helps with the management. I'm happy, they're happy. It's almost as simple as that. I was never one for behavior charts, until I entered a school with mandated ones. My new building has used the "stay on green" for several years. They were doing it prior to me coming, but I couldn't get myself "on board with it." 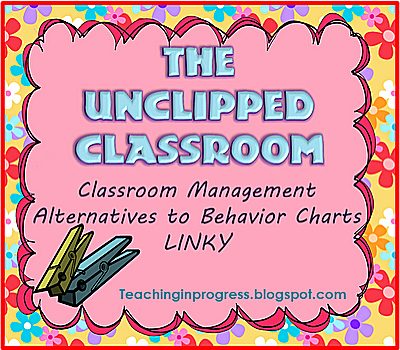 I have since added the "clip chart" so my students could at least move up the chart for various reasons. It's not my idea of perfect, but it's better than the one that I was using previously. What I'm doing isn't perfect either :) but I feel good about it. 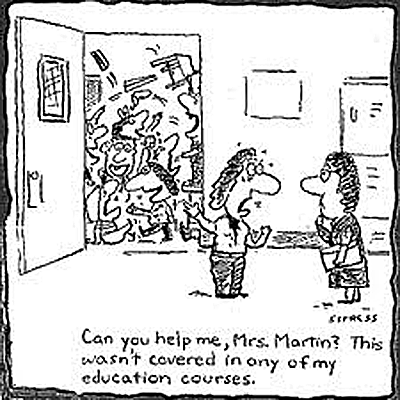 I've never been in a school where everyone was expected to use the same class management system. I would find that very difficult! Thanks for stopping by DeAnne! I'm guilty of using clip charts, but no child ever goes below green! Most days they end up on gold! I wish I hadn't started using it, but now the kids are so proud of being an all green classroom that I feel like I can't get rid of it. When things aren't going smoothly in my classroom, it is almost always because I'm not well rested, well nourished or well grounded! On those days I try to force myself to smile more. I love this post!! Don't feel guilty, Jenny! I know from reading your blog you're a sensitive, caring teacher. Love this post. Your class sounds like a wonderful place to learn. Thank you for visiting my new blog! I added your button to my favorite blogs. I really like your ideas! Your classroom sounds like a positive learning environment that students enjoy being in! I don't use a clip chart either. Most times prevention rather than reaction works for me. I don't like the word 'system' either. It just isn't that easy - a cute little chart or a boxed up plan. Actually, when the class has a rough day or things seem to be falling apart, it's usually because I am not well prepared, keeping the pace, or following routines. Thanks so much for sharing how you foster a happy classroom!! You're welcome, Nikki. I'm glad you started this linky! hhhmmmmm - I'm not sure you can reasonably equate non-charted rooms with great classroom management or clip chart classrooms with uncontrollable classrooms. I do use a clip chart and LOVE it! My kinder kids not only NEED but LOVE to VISUALLY see how they are doing. It is a tool to help develop kids' sense of right and wrong..... oh and btw the way I use many technique from Conscience Discipline and the Responsive Classroom - I just use those as tools to help me run my classroom so that it is productive academically and in building self-esteem. I think it's wrong to criticize teachers who use a certain behavior management system.... I've known bad teacher who use clip charts - but I have also known bad teachers who did not..... just my 2 cents! Thanks for your input, Jeannie. I appreciate it! I'm not criticizing anyone for using clip charts. I'm saying I personally don't like them and this is what I do instead. Teaching is a learning process and you have to do what feels best for you and your class. I just think this linky is important to get everyone thinking about what they're doing and why. I just read Conscience Discipline this summer and loved it! I'm slowly trying to implement those ideas, too.